Though this is a one layer card, if you are very careful and use very, very little water, your cardstock won’t bend. I don’t apply the dry color directly to the image, I do it on a scrap piece of paper that I use as a palette, and add the color little by little. I colored the flowers with two tones of peach and the leaves with two tones of green. I added a heat embossed in gold sentiment, a bow and crystals to the center of the flowers. Hope you like it! Thanks for stopping by. 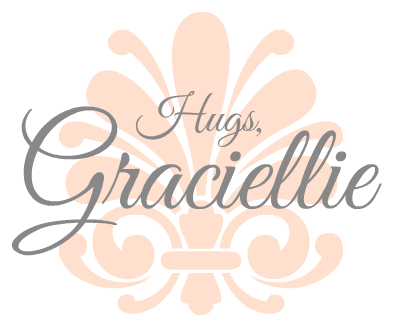 I think this is one of my favorite colors that you work with Gracie! 🙂 This is so lovely! I know that set & I'm glad you're putting it to good use! 🙂 Perfect for this lovely spring day! What beautiful colors! Great card! Oh I'm glad you like this color. It's one of my new favorites! And yes, this is the set I won from your challenge dear friend! Wonderful stamps! Thank you! 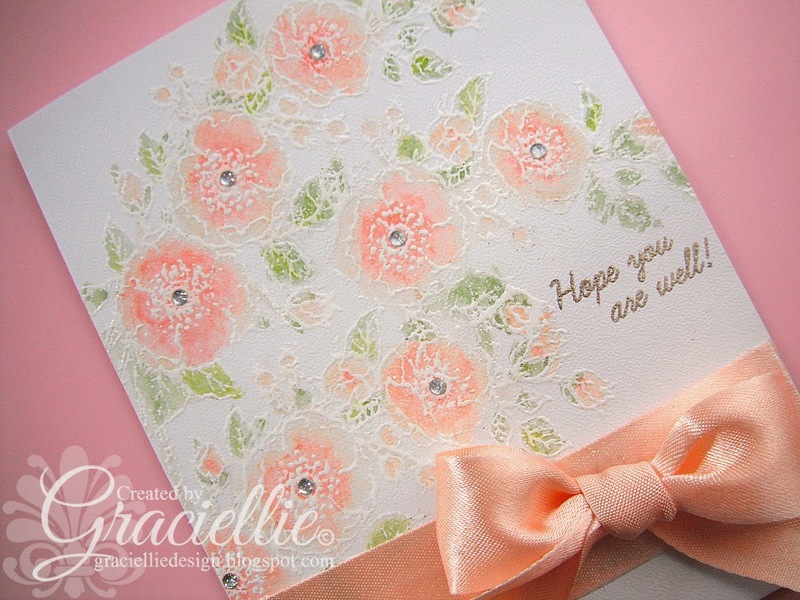 What a lovely card, and although it is one layer, you gave it the appearance of lace over print…what a great job. This is just gorgeous! I love everything about it! Absolutely gorgeous card, Gracie!! Love the colors and bow. Beautiful embossing. Thanks for joining the Craft-Dee BowZ May Challenge. Gorgeous! The white embossing really adds a touch of elegance! Oh thanks so much Angie! I really appreciate it! Thanks so much Dianne! I'm glad you liked it! Wow! Beautiful design AND colors! AND coloring, love it! Thanks so much for playing along in the Mod Squad Challenge this week! Beautiful card and love the soft colors of it. Gorgeous card Gracie, so elegant and pretty.